How can I transfer excel sheet data to tally in an easy way. I want to transfer stock item from excel to tally. No need to use other softwares for this purpose. Please giver the answer for this mater. I am waiting for your reply. Thanks in advance. just go to start menu, then go to control panel, then go to regional and language option and then go to regional option customized, then go to date, then short date format and then DD/MM/YYYY ok.
VCH No. : Write Voucher no. Now, import in Tally. 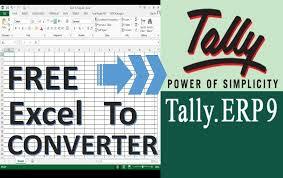 Just check the utility of excel to tally in tallysolution company website. If you do not know the import, you can learn at here. No Comment to " Excel Data to Tally "